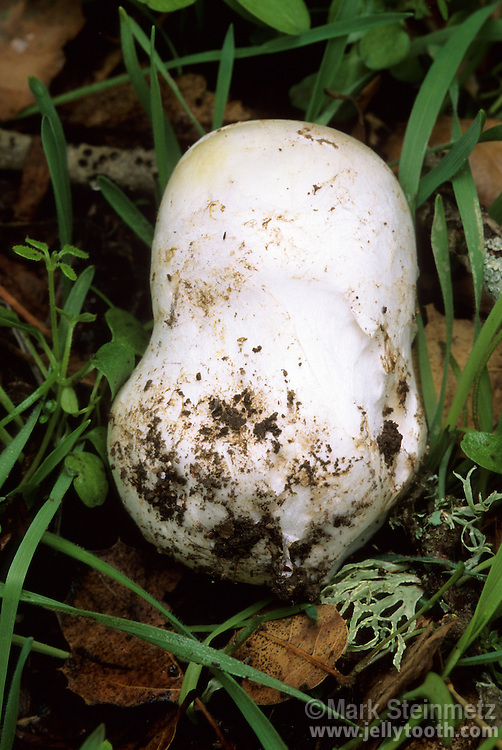 Part 2 of 4: An early stage in the development of a deadly poisonous Amanita (Amanita phalloides) fruiting body, the universal veil completely covering the mushroom, giving it an egg-like shape, superficially resembling a puffball. Dug out to show portion below soil. Point Reyes National Seashore, California, USA.